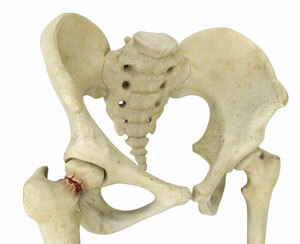 A Hip fracture is a break that occurs near the hip in the upper part of the femur or thigh bone. The thigh bone has two bony processes on the upper part - the greater and lesser trochanters. Hip fractures can occur in the femoral neck, in the area between the greater and lesser trochanter or below the lesser trochanter. Hip fractures mostly happen after minor trauma in elderly patients with weak bones, and by a high-energy trauma or serious injuries in young people. Long term use of certain medicines, such as bisphosphonates and steroids, alcoholism and other bone diseases, increase the risk of hip fractures. 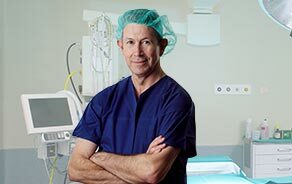 Hip fractures can be managed non-operatively and operatively: Although the preferred method is surgical management. Traction may be an option to treat your fracture if you are not fit for surgery.